If you've been wanting to order a CD, now's your chance! 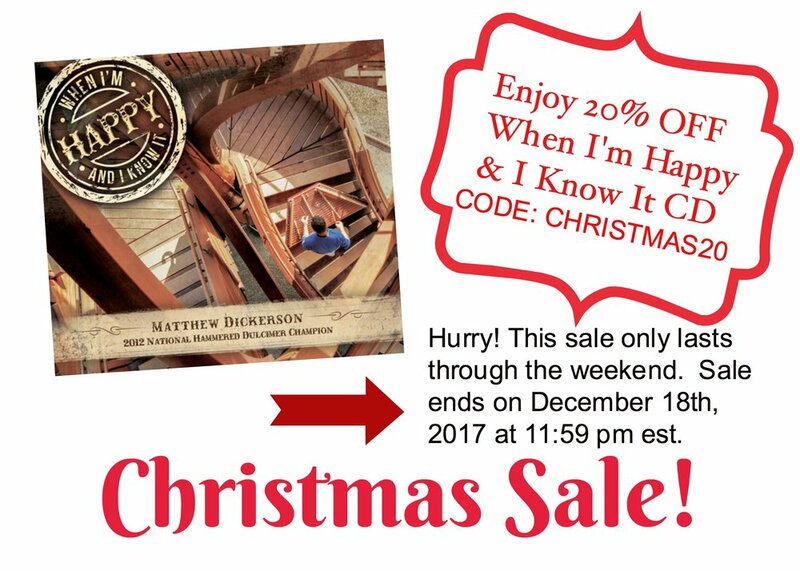 Matthew is offering his When I'm Happy & I Know It cd for 20% OFF! You can find the CD under the albums link and use discount code: CHRISTMAS20 at checkout. But you've got to hurry! This sale ends on December 18th at 11:59 pm. Get it in time for Christmas!